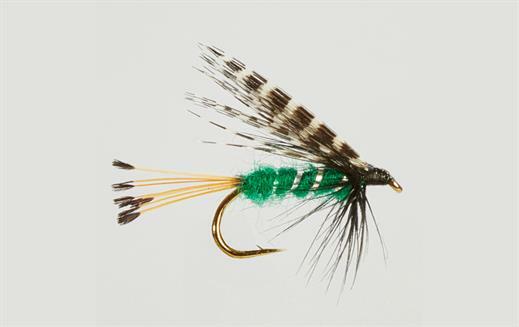 The Teal & Green is one of the Teal series and is a highly regarded Loch fly. It is a wet pattern that has been used on lochs and rivers for over a century and is a very handy fly to have in the flybox especially when the fish are feeding on shrimp. It was on this successful pattern the the Peter Ross was based in the 1890s. Body : Greens seal's fur. Wing : Teal flank feather. Hackle : Light red hen. Currently there are no comments about the Teal & Green fly pattern from other fly fishermen yet.